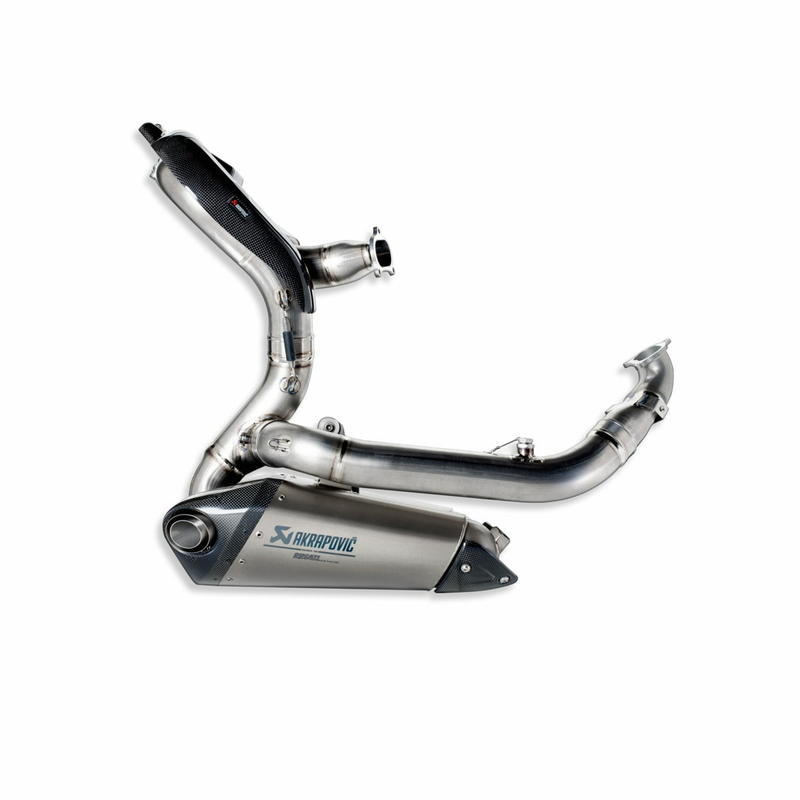 Complete Evolution titanium exhaust assembly. Created by Akrapovič exclusively for the Panigale, this is the most advanced complete racing exhaust system available on the market. Every single section of the system is produced in a special Titanium alloy, with TIG (Tungsten Inert Gas) weld joints, extremely light and resistant to high temperatures and allowing a weight reduction. 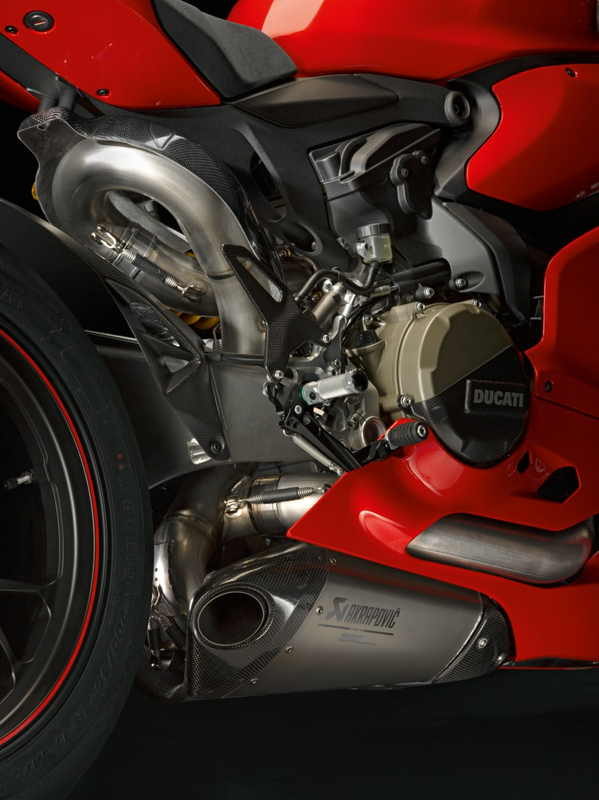 Once fitted to the bike, the Evolution exhaust significantly increases the already impressive weight-power ratio of the Panigale, for breath-taking acceleration. The kit includes an up-map key for the upload of dedicated mapping. On the 959 version (excluding USA, Australia) to be combined with the lower half-fairings (red part no. 97180431A, white part no. 97180441A or Ducati Corse part no. 97180691A) of the US, Australia version models.